WordPress is awesome blogging platform and its plugins also great which make it more reliable and useful. 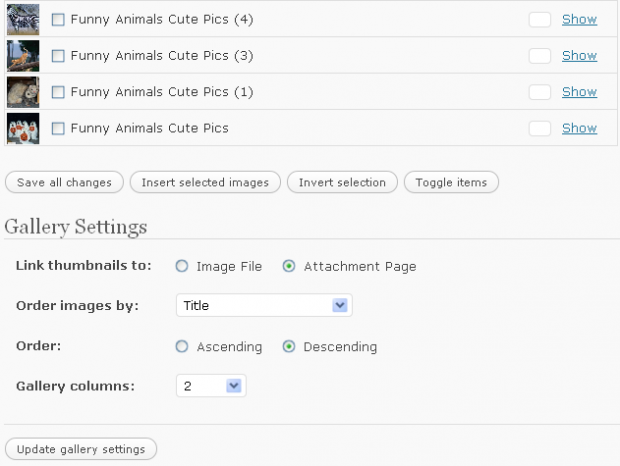 i am going to write about how to insert all images at once from WordPress Gallery. You can insert all images at once with the help of a plugin Simply Download the plugin (its called Fast Image Insert). What This Plugin Actually Do ? Actually, this is a simple plugin which put check box with all gallery pictures and some extra links on gallery window, like select all pictures, insert all pictures etc. So, you just have to simply select all gallery pictures or multiple pictures of your choice and simply click on INSERT all pictures. I Hope! 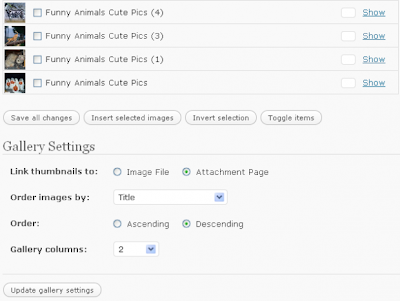 It will very helpful for your WordPress Blog.